Over the past 20 to 30 years, there has been an increased in prevalence of food allergy, especially in developed country. The reason of this increase is not well understood although there are many hypothesis and evidence that might someday explain this condition. 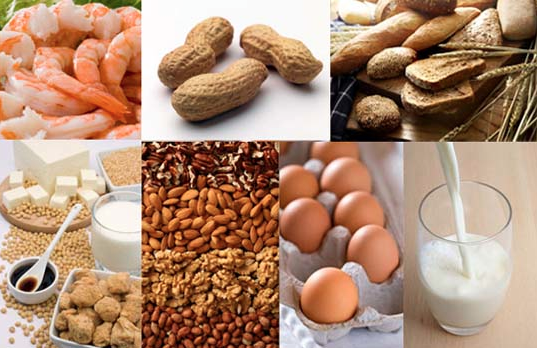 For a long time, the only available methods to treat food allergy are strict avoidance of the allergic foods and carrying epinephrine autoinjector to use in case of emergengy. In the last few years, many investigations have shred light into the safety and efficacy of food desensitization. Today, many selected foods can be safely desensitized in many allergy clinics. At Texas Allergy, we currently offer a variety of food desensitization through several methods. Individuals with suspected food allergy would need to be tested and challenged if the test is inconclusive to make sure that the food in question causes an allergic reaction. It is then can be desensitized if indicated. The two available methods of food desensitization are sublingual and oral form, or it is usually called food SLIT and OIT. In general, sublingual desensitization is safer but it does not induce tolerability as much as the oral form. At the end of this process, an oral food challenge is usually performed to see how much the patient can tolerate that particular food. It is however not clear that if this process would induce long lasting tolerance yet since all data is still so new. If you or your family have questions or suspect that you might have food allergy, please come to our office for further discussion and to see how we could help. For more information about food allergy, please refer to our sections below.